Fine and Fair: Sew Fun! When I wrote to you about making you a doll, I mentioned that I was looking forward to making matching dresses for you and Abba. Since I am very new to sewing, I decided to start out making practice dresses using some fabric I've had laying around for years, before cutting into the adorable fabric you helped me pick out. 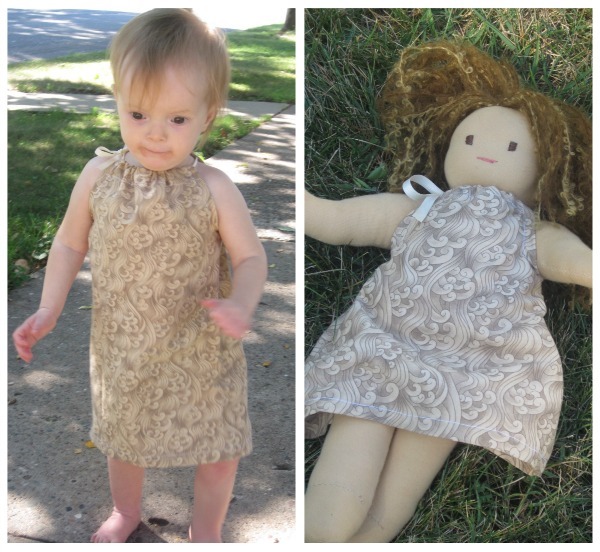 I used Prudent Baby's DIY "Pillowcase" Baby Dress Pattern to guide me. For a novice sewer, the tutorial was surprisingly easy to follow! Still, I'm glad I did the practice dresses, because I made some mistakes and found sewing the bias tape around the arm holes particularly challenging (I couldn't avoid the fabric around the arm hole getting bunched up, though I resolved it somewhat by making sure the bias tape bunched up a little instead). I'll probably make a few more practice dresses and try out a few different patterns before I get brave enough to go for it with the fabric I bought especially for this purpose! P.S. 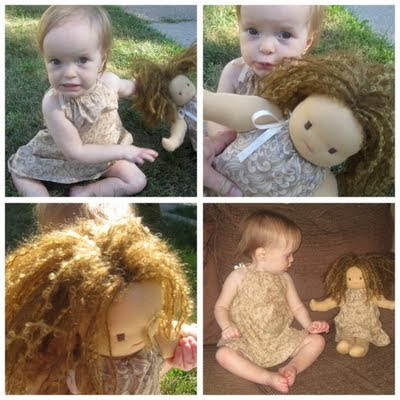 I would definitely encourage any beginning sewers to check out Prudent Baby's dress patterns and tutorials. I'm hoping to give this one a try when I get some more experience under my belt! that is really cute. should make one for my daughter's doll, too!